Recently there has been a nostalgic turn amongst the Left in the UK. In England (and Wales) it has looked wistfully back on the ‘Spirit of 45’. In Scotland, it has taken the form of the ‘Common Weal’ proposals, emanating from the Jimmy Reid Foundation.These look to the Nordic social democratic model. 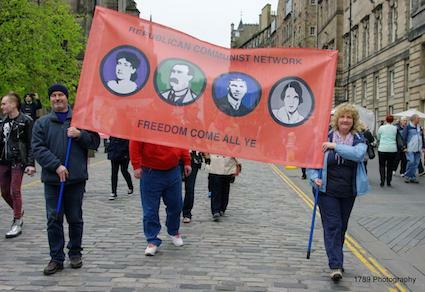 The RCN has argued that there is no social democratic way out of the current multi-faceted capitalist crisis. 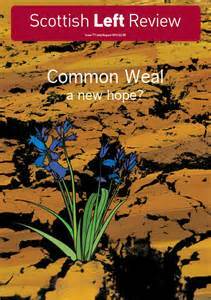 Here, Rory Scothorne who writes for Mair Nor a Roch Wind and the National Collective , has written a critique of the ‘Common Weal’ approach. The mainstream left in Scotland stands petrified by the ghost of social democracy and its companion, the zombie-demon of Margaret Thatcher. Thatcher’s symbolic role in the transformation of 20th century capitalism is essential to what we can call the ‘containment’ argument, which features prominently in both nationalist and ‘devolutionist’ ideology. According to this position, independence or some degree of autonomy is necessary to protect Scotland from the unholy trinity of free markets, ‘Victorian values’ and xenophobic jingoism that characterised Thatcherism. Thatcher’s main political legacy – New Labour – is a part of this narrative, and the Thatcher-Blair consensus is taken as proof that ‘Scottish values’ have no hope at Westminster.